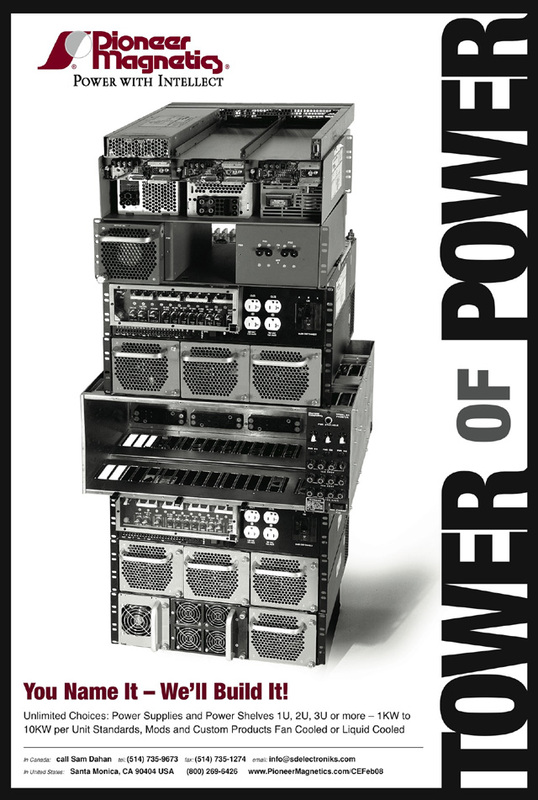 Redundant Power Supplies is a great feature for those customers that need N+1 configurations. 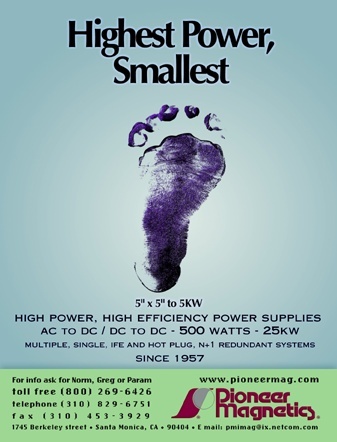 Inverter Power Supplies are a special and unique feature in PMI's product line with power ranging from 1000 Watts to 8,000 Watts. Switching power supplies are available in power ranges up to 30,000 watts. 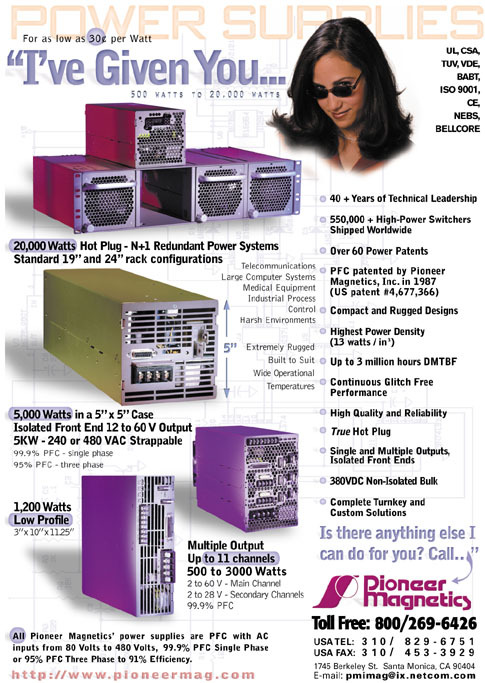 Custom and programmable switching Power Supplies are available to Pioneer Magnetics, Inc. customers that have special requirements. 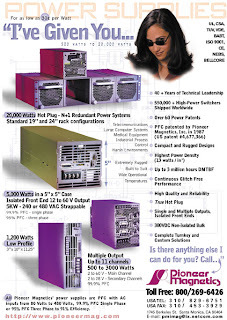 Pioneer Magnetics, Inc. is also understandably proud of its professional reputation, patent position, technical leadership and international standing as the penultimate manufacturer of switching power supplies.